Lone workers are often exposed to some of the harshest, most dangerous, and hostile environments. Whether you’re an engineer on a solo mining expedition, or a worker performing maintenance at an oil refinery, or you’re simply inspecting the gas pipelines at your facility, being on your own in a remote location can bring about many hazards. For one thing, there is oftentimes no one there to hear your call for help if you need it, which is one of the more daunting possibilities about being a lone worker. That’s why it’s imperative that you understand the value of personal safety and equip yourself with the tools, education, and resources necessary to ensure that you are taken care of at all times. 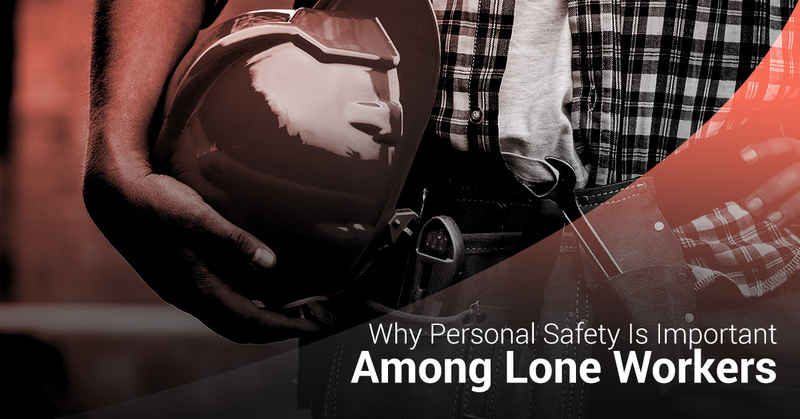 Keep reading to learn about personal lone worker safety and contact Safety Scan to get setup with the ultimate lone worker monitoring device, the G7. While this phrase is often yammered hyperbolically in situations which don’t involve serious matters, lone worker safety is really a matter of life and death. One false step, improper equipment, or quick exposure to high levels of toxic gases lead to catastrophic consequences, including death. It happens way to often in the sectors in which we work, which is why we are looking out for your best interests with our lone worker safety devices. The G7 is the future of lone worker monitoring and toxic gas detection, and soon you’ll find out why. Personal safety is job security. By taking the preventative measures and protocols to ensure maximum safety at all times, you will have the comfort and peace of mind needed in order to fulfill your job duties efficiently. Proper safety ensures that you won’t be worrying about what could happen in the event of an emergency; rather, you’ll know that you are well taken care of so that your mental and physical focus can be on doing a great job. Quality work can lead to bigger and better things, no matter the industry or conditions. If you are a manager, team leader, or supervisor, then the importance of providing your team with the best technologies and practices will only help improve team morale. When your workers know that you care about them, their health, and their safety, they will be more loyal, work harder, and work longer. As a lone worker trained, educated, and equipped with the best safety devices and resources, you have the assurance you need that your employer cares about your well-being. That tends to make for a favorable working environment, allowing you to continue working in a job you love, providing for your family, and doing work that is good for the health of the economy. Lone workers face difficult situations everyday, but with proper safety they can work in some of the most rewarding, unique environments possible. At Safety Scan USA, we are committed to providing innovative solutions to better the world. When it comes to lone worker safety, we know that there is nothing more important than having a plan in place. With the G7, the world’s best portable wireless gas detector, your lone workers get the lifeline they need in order to survive and thrive. The G7 is different than any other gas monitor or alert system in that it provides automatic updates, features two-way communication, and has the ability to contact emergency management personnel in the event of a gas leak or no-motion event even if the worker can’t signal for help themselves. What’s more, the 3G cellular network and GPS location tracking allows for rapid, pinpoint identification of the affected area. The live support team connected to the G7 will alert the proper emergency teams as to where the incident is taking place in the matter of minutes, streamlining the response process and saving countless lives in the process. Because of the modular, portable design of the G7, it is the ultimate companion for lone worker safety. That allows lone workers to complete their tasks with confidence, no matter where they are or how remote their locations may be. This is the future. This is the G7. Contact Safety Scan USA today to request a free demonstration at your facility.